A good opener. I enjoyed the strategy talk from the broadcast team regarding New Day going with their smaller lineup against The Bar. I was hoping for a title change because The Bar need the tag titles more than New Day. Lynch grabbed her title belt that was on the apron and hit Charlotte with it for the DQ. Cena looks like he went to JBL’s barber. The heels isolated Lashley while Cena’s hair waited for the hot tag. Lashley tried to spear Elias on the apron. Elias moved and Lashley tumbled to the floor. Elias ran Lashley into ring post and put him back inside the ring where Owens performed a frogsplash for a two count. Cena’s hair took the hot tag and entered the match for the first time at 9:25 and hit the Five Knuckle Shuffle and an Attitude Adjustment on Elias. Cena’s hair struck a fighting pose and then threw an elbow or something to the face of Elias and pinned him. Graves said the move in Mandarin and also said it was the mythical sixth move of doom…. I was really hoping for a title change here with interference from Randy Orton, which would have moved Styles into a hot program away from the title while freeing up Joe for a program with Daniel Bryan, but no such luck. A really good match with a hot live crowd. 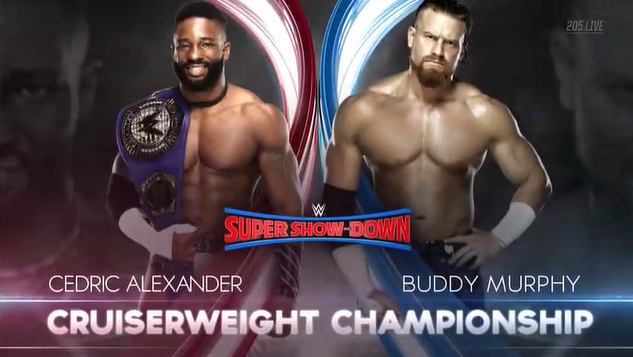 This is the biggest moment the cruiserweight division has had perhaps ever or at least since the Neville vs. Austin Aries match at WrestleMania. Hopefully the company won’t decide to cut this match from the DVD too. Yes, I’m kidding, but it will be interesting to see how they follow up on this. If they are serious about the cruiserweight division then they should really spotlight this on Raw somehow. A clunky match at times. The crowd doesn’t seem to be mic’d particularly well, but it didn’t seem like the heels had a ton of heat. That’s actually been an ongoing issue with Strowman in that the fans were passionately behind him as a babyface and yet they don’t react with the same level of passionate heat for him now that he’s a heel. Cheap shots aside, this was a disappointing match. I don’t know if there’s a legit injury that required it to be short or if this was simply the plan, but I didn’t care for it either way. It’s a shame that creative never managed to recapture the magic that Bryan and Miz found on the Talking Smack set. 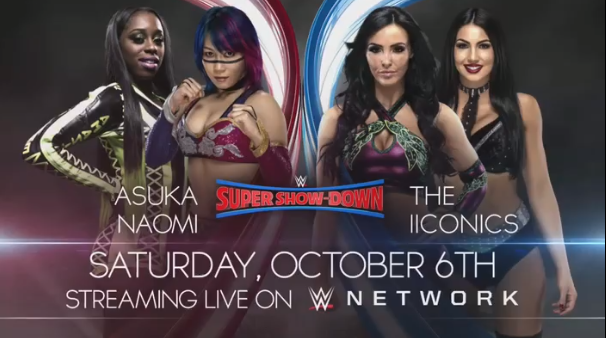 By the way, this leaves a lot of time for the main event or this show will be going off the air earlier than the four-hour window would seem to suggest. Of course, the ring entrances alone may eat up 20 minutes. I give Taker and Hunter an A for effort if nothing else. 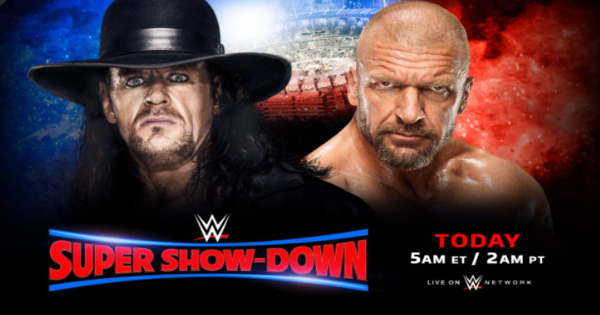 They received a ton of television time and this was the featured match on this show and it’s obviously it’s leading to more at Crown Jewel, so they couldn’t deliver the type of throwaway match like Taker and Cena had at WrestleMania for instance. They were moving in slow motion at times and it wasn’t pretty, but the crowd appreciated the effort to at least attempt to have an epic match. All of the outside interference by Michaels made him and Hunter feel like the heels, so Taker and Kane attacking them afterward felt justified. In fact, it felt ridiculous that Taker and Kane would go along with raising their arms with the duo afterward. It was all a bit confusing. I guess the idea is to let the fans choose between the teams, but they both actually came off poorly. It was a real mess in a lot of ways, though it seemed like the crowd left satisfied and perhaps a little confused.